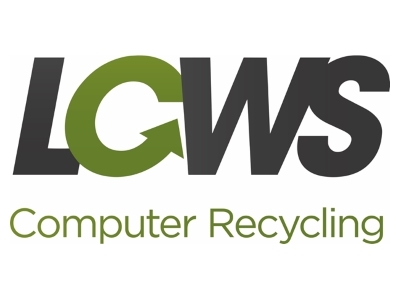 LCWS Recycling Ltd, based in Padiham, Lancashire is a specialist in computer & electrical recycling. We are a small, friendly company who operate in the Lancashire region and across the UK, We offer a FREE collection and recycling service for end of life or unwanted equipment. This service is making a real difference to the environment by reducing the amount of waste that goes into landfill sites. We make repairs where possible to faulty equipment as our computer recycling service is there to find a home for equipment that is of no use to others. We work directly with various colleges, schools and organisations to recycle and replace their old equipment with re-manufactured devices that come fully licensed and with 1, 2 or 3 years warranty. There are cost benefits to be had in buying refurbished equipment as opposed to new this is especially attractive to educational establishments in times of diminishing school budgets and to start up businesses who have limited funds available when starting out. LCWS can provide data removal and data destruction services including a mobile hard disk crusher that can be taken to a customer site for secure hard disk destruction. LCWS are an AATF, (approved, authorised, treatment facility) and our accreditations include ISO27001, ISO9001,ISO14001, BS15713. Communicate your vision to other member of staff to ensure they feel involved in the journey. Speak to organisations like Boost who can provide invaluable assistance to growing businesses. Lancashire is a great place to grow a business as well as being a great place to live. There is a skilled workforce available. More and more cost-effective business premises to rent or buy are becoming available. There is a great network of like minded businesses and organisations that are willing to work together in a supportive role. LCWS have welcomed the opportunity to get involved with Boost , not only to promote our own business but to shout in a united voice about how great Lancashire and Lancashire businesses are and how they support the local communities are across the county.